The customer wanted to update their builder’s original bathroom (tub surround, vinyl floor) into something more modern. 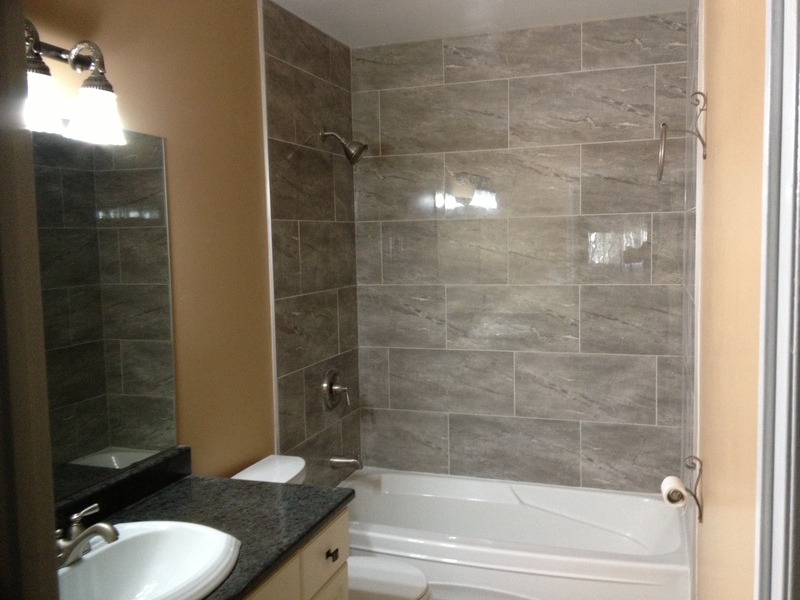 The claustrophobic surround was removed and a more open tub and tile surround was installed. The vanity was kept but with new hardware and new top, it’s like a new unit.